It’s Burns Night (the night honoring Scottish poet Robert Burns who was born on January 25, 1759) and I forgot until the last minute due to the January doldrums/slump/blues plaguing me. My go-to shop for haggis was already out–even of the vegetarian canned stuff so things didn’t go as planned. I did get “neeps” (rutabagas) and “tatties” (potatoes). The cranachan was yummy. Too bad about the haggis–the quarter of me that is Scottish is very sad. 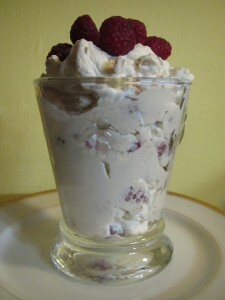 Find Burns Night (including similar cranachan recipes) here. You may recognize this poem–or at least the lines in bold? Happy Burns Night. You don’t really have to celebrate it on January 25th. Pick any day you want. Christmas, in the US at least, is an odd mix of the Capitalist and the Puritanical. Merchandise goes up before Halloween, the shopping season really gets going the day after Thanksgiving. And yet, on the 26th of December there are many discarded Christmas trees kicked to the curb (literally). It’s as if we couldn’t, collectively, wait to get Christmas over with. No more having fun. This is the antithesis of traditional Christmas celebrations which, in reality, didn’t end until today. We miss the twelve days of Christmas when they could be a lot of fun and maybe even a little unruly. 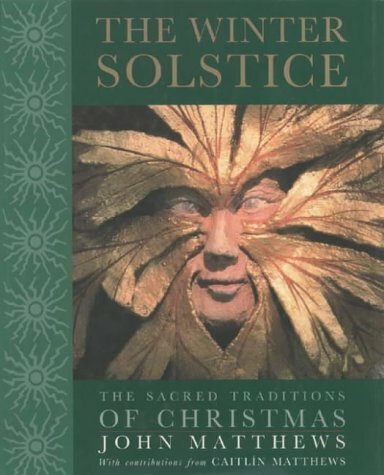 A lot of information can be found in The Winter Solstice: The Sacred Traditions of Christmas by John Matthews (it gets a little out there at times and there aren’t any footnotes, but he does have a list of sources at the end). Depending on how you look at it, the first day of Christmas is either December 25th or December 26th. I choose the 25th for the start of the 12 days. You can do what you want. And celebrate (or not) the way you want to too, of course. No partridges or pear trees necessary and there’s no evidence that the gold rings, leaping lords, milking maids, swimming swans, etc. have any significance other than as song lyrics. For the 2nd-12th days there are many traditional activities. The 26th for instance, is Boxing Day in some countries…the days when servants got gifts. Then there might be wassailing or plays. Don’t forget Twelfth Night (Jan 5th) when the Lord of Misrule reigned. It all sobers down for January 6 or Epiphany. We hope you had a merry Christmas. Try celebrating until January 6 next time.